If you are a retro games lover and want to play it on your iPhone, a security loop in iOS 8 makes it possible for you to play classic SNES games on your iPhone, without the need to jailbreak your Apple devices. Since Apple doesn’t allow emulators on the App Store for copyright reasons, making it difficult to install third-party emulators and other unapproved applications. 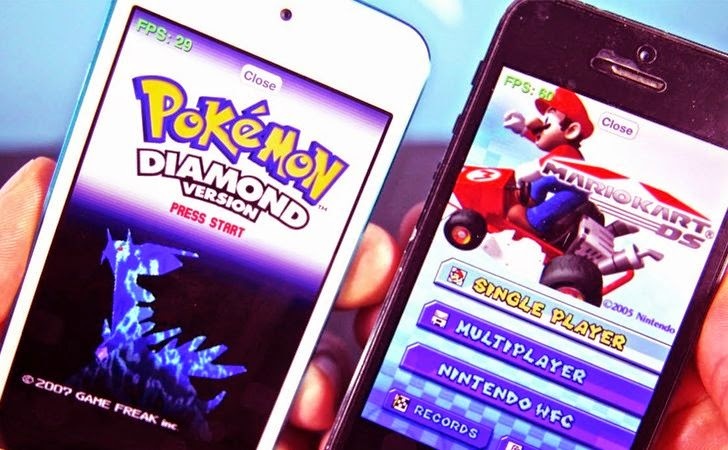 But, the latest upcoming beta version iOS 8.1 patched the famous "Date Trick" that had allowed iOS emulator makers to bypass App Store restrictions and run unofficial emulators on iPhones and iPads. The loophole called the "Date Trick," found by Dario Sepulveda of the GBA4iOS team, is currently being used in the wild by the makers of emulators like GBA4iOS and SNES emulator since last year, allowing iOS users to downloaded and installed unapproved apps through the built-in Safari browser. Technically, by changing the device's date and time back at least two months on an iPad or iPhone, it is possible to bypass the restrictions on unsigned apps, which allows Apple iOS users to easily run emulators without jailbreaking their devices. Go to the Apps in the top tabs, swipe down to SiOS: A SNES emulator, and tap “Install”. Go to Settings > General > Date and Time. Toggle Automatically Set to OFF, and manually set your date to two months back. Once you’ve set the date two months back, retry installation. When installation finishes, open SiOS app and tap Trust when the popup asks. Go back to Settings and under General find the Date and Time again and toggle “Automatic” back on. Go to CoolRoms (Super Nintendo Section) and select a ROM. Select 'Download Now' and then select 'Open in SiOS' and the ROM will save in the SiOS app. Go into SiOS and select the desired ROM. Now start playing and Enjoy your favorite game. You can also watch the video demonstration below, which will help you to install emulator on your iPhones and iPads. Apple is going to block the loophole that allowed people to play classic video games and run unapproved apps on iOS 8 in its upcoming beta version iOS 8.1. But unsurprisingly, the emulator community isn't too happy about this. So, if you love playing games without jailbreaking your iDevices, you should hold off on updating to iOS 8.1.
iOS users can still jailbreak their iDevices and download emulators through various third-party app stores. The final release of iOS 8.1, which will fix this issue, is expected later this month.